The Prestige and The Illusionist ( also released last year ) were released relatively close to each other and I think this caused some confusion ... with many people thinking they were the same movie or that The Prestige might be trying to copy The Illusionist. That couldn't be further from the truth. The plots are not even remotely similar ... so don't let the similar topics of magic dissuade you from renting (or downloading) BOTH of these movies ... even to watch back to back on a rainy weekend. I particularly like The Prestige because of its complete irreverence to political correctness - so far a hallmark of Chis Nolan films (The director of The Prestige and Batman Begins). The movie has a sub-plot involving Nikola Tesla - a contemporary electrical engineer of Thomas Edison who was unjustly mistreated by the US government in order to diefy Edison as an American hero. The story presented about Tesla in the movie is very uncommon. 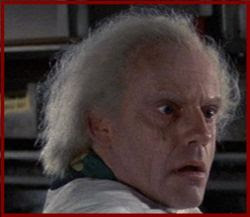 Most historians portray Tesla as a crazed Mad Scientist - almost turning him into a Doc Brown from Back To The Future. It's hard to really speak of the plot without giving anything away. The movie centers around two magician's assistants who later become fiercely rivaling theatrical magicians holding their own. Animosity arises between the pair of magicians, who were formerly good friends, when a tragic accident occurs on stage. The larger plot of the movie is discovered through flashbacks as the two magicians read each others personal journals - one reading from jail ... the other reading during an obsessive mission to find the ultimate trick. If you like plot twists ... this movie definitely has that. Hugh Jackman and Christian Bale star with Scarlett Johansen and Micheal Caine in supporting roles. David Bowie plays a perfect cameo role as Nikola Tesla.